The only way to gain more free time is to reduce time spent on work. What’s more interesting, you may accomplish the same amount of work when you do it. That’s Parkinson’s Law. By combining it with Pareto’s Law, you can be even more effective—do more in less time. Parkinson’s Law says, “Work expands so as to fill the time available for its completion.” This means that if we have a lot of time, we will be very likely to use the whole time for a task. Reduce you working time in order to accomplish all your tasks faster. This will cause you to do tasks faster and also limit yourself to doing the important ones. Use this law on a micro level. 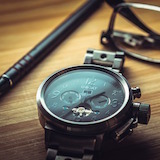 Set short deadlines for each task.